For designing, development, testing and verification of the software application required by the user, many documents and sample data is collected from the customer. This information may be very crucial and may impact customerâ€™s business. Therefore it becomes our responsibility to secure this data from unauthorized access. We see this as the critical element for maintaining a long-term relationship with our customers. We are committed to protecting customer IP, passwords and other business information throughout the project cycle. Access Infotech have deployed a robust Information Security policy and every employee is trained and made to practice the same ethically. Dedicated resources made available for all projects. This prevents unauthorized usage of resources and protects all proprietary information of our customers. We have a strong ethical framework that forbids exchange of documents and information between projects. 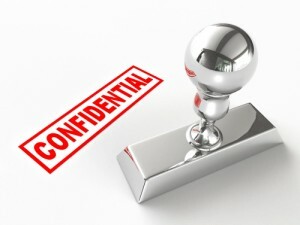 Any confidential information received from customers is held in strictest confidence and employees are not allowed to disclose or use it, except as necessary to perform his/her obligations as is consistent with customers. Any information collected from customers by Access Infotechâ€™s engineers pertaining to any idea, process, trademark, service mark, invention, technology, computer program, original work of authorship, design, formula, discovery, patent, or copyright has to be promptly disclosed to the company and are kept under the ownership and supervision of project manager. Access Infotechâ€™s employees cannot disclose any proprietary information directly or indirectly to anyone outside the project team or company, or use, copy, publish, summarize or remove such information from the company premises. Even, employees cannot use any unfair competitive practices upon termination of employment or engage in any business during employment.